Amazing home in Sierra Verde Ranch. Off grid living at is finest with great solar system, propane and both wood burning and pellet stoves. Almost 37 acres dense with juniper an d pinion trees with the home located on an elevated spot of this property that also spots a meadow at the entrance. Directions: I-40 and Jolly Rd./Exit 103 south to Sierra Verde entrance, South 4.5 miles to Broken Shovel then go west to Trout Creek Trail then left/south 3/4 mile to sign/drive way. 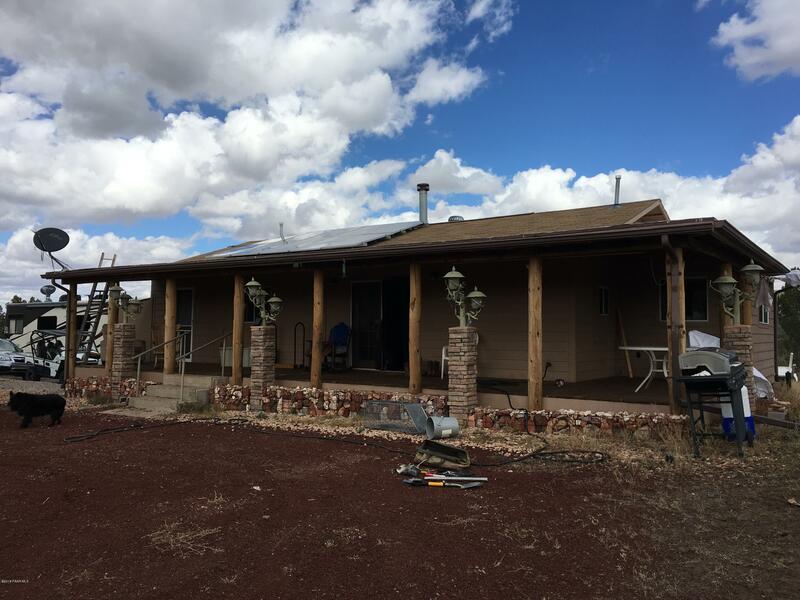 I would like more information regarding the property at 44300 N Trout Creek Trail, Seligman AZ 86337 - (MLS #1016106).